Wiard Boogie features a resonant low pass, two audio inputs, two cv inputs (one key in and one with attenuator) and outputs for 6dB, 12dB, 18dB and 24dB. There are two user-friendly jumpers on the back of the module that control the phase of the 12 and 24dB outputs. 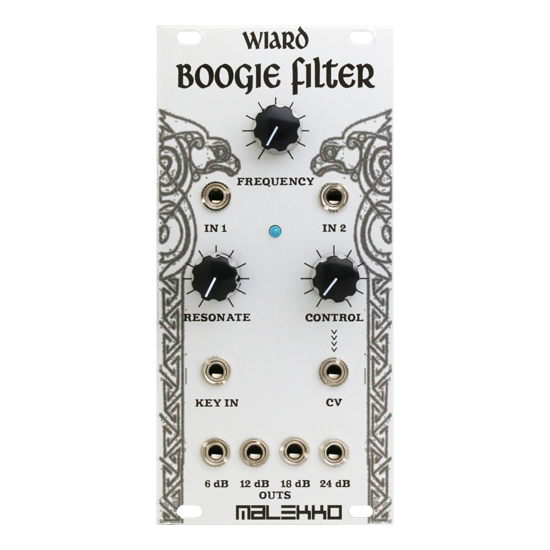 Malekko is thrilled to offer the Wiard Boogie Filter. 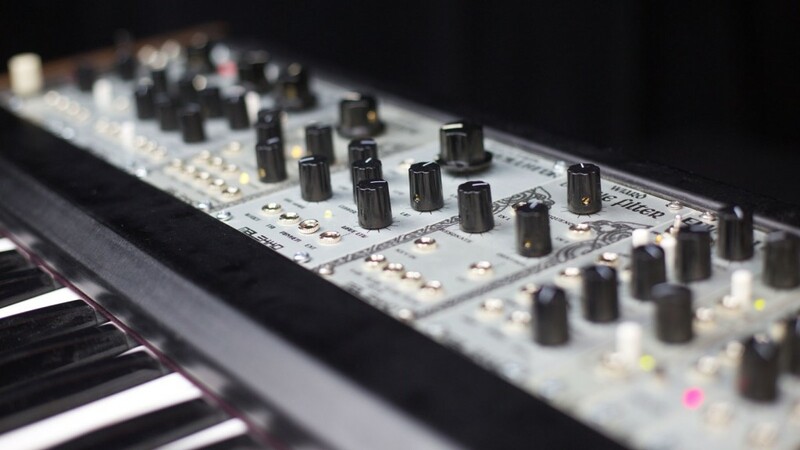 Sanctioned by Grant Richter of Wiard Synthesizer Company, this module is exactly the same as the original 1212A, only in 12hp eurorack format. The Boogie filter is vactrol based and features a resonant low pass, two audio inputs, two cv inputs (one key in and one with attenuator) and outputs for 6dB, 12dB, 18dB and 24dB. There are two user-friendly jumpers on the back of the module that control the phase of the 12 and 24dB outputs.